Stunning and visceral in its emotional impact, The Dark Will End The Dark collects 14 stories by veteran author Darrin Doyle. Deftly mixing realism and fabulism, bleakness and hope, sparkling dialogue and unforgettable characters, these literary Midwestern Gothic tales remain in the reader's mind long after the last page is turned. The human body, logic, and language are all rent apart and remade dazzlingly anew in these fourteen stories. With the droll fabulism of Nikolai Gogol and the moral heft of Shirley Jackson, Doyle's characters face problems both surreal and all-too-real...Fantastical yet close to the bone, these stories are both wounding and wondrous. - Monica McFawn, author of Bright Shards of Someplace Else, winner of the Flannery O' Connor Award Doyle's stories are lamentations, demented fairy tales, and quests for enlightenment in which the author explores bodily dysfunction and ungainly lust while familial love hums in the background. 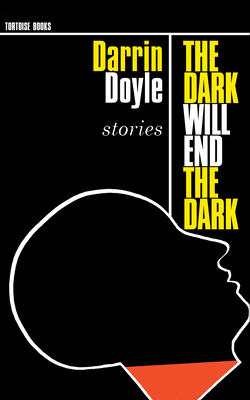 In the manner of George Saunders, Doyle uses his smart, light language to lift readers above the darkness of shame and humiliation that brings so many of his characters to their knees. - Bonnie Jo Campbell, author of Once Upon a River and American Salvage, finalist for the National Book Award Darrin Doyle's a mad scientist who has stitched together a hauntingly beautiful collection from tattered body parts and a strange, ragged heart. It is only after you've been defibrillated by the stories in The Dark Will End the Dark that you realize you've been dozing through the days. Doyle's got his fingers on the pulse of our brave new American psyche and his writing blazes electric. - Jason Ockert, author of Wasp Box and Neighbors of Nothing.